bowlingball.com is happy to offer professional drilling service on all bowling balls, a convenient service that can save you time and money! We have a full staff of professionals on site with over 50 years of ball drilling experience. We use a top of the line Vacu-Jig Milling System that enables our professional staff to drill all equipment with pin-point precision. 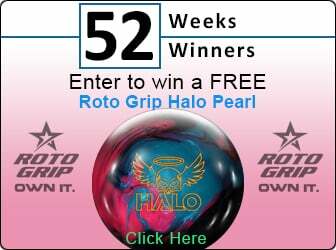 Getting your new bowling ball professionally drilled just got easier! This service is recommended for advanced bowlers who currently own their own custom fit bowling ball. Custom drilling services can cost anywhere from $30 to $45. Installation of finger inserts, thumb slugs, switch grips, and thumb molds are also available for purchase with custom drilled bowling balls for an additional fee. With custom drillings, you will have the option to select a drilling layout. If you would like to read testimonials from customers who have used our professional custom drilling service, please visit our Professional Custom Drilling Testimonials Section. This service is recommended for the recreational bowler who would like to own their own bowling ball. This is a standard conventional layout using an average for the span and hole sizes. Standard drilling services cost $16.95. With Standard drilling, all three holes (both fingers and thumb) must be drilled. Finger inserts cannot be installed in Standard drillings. 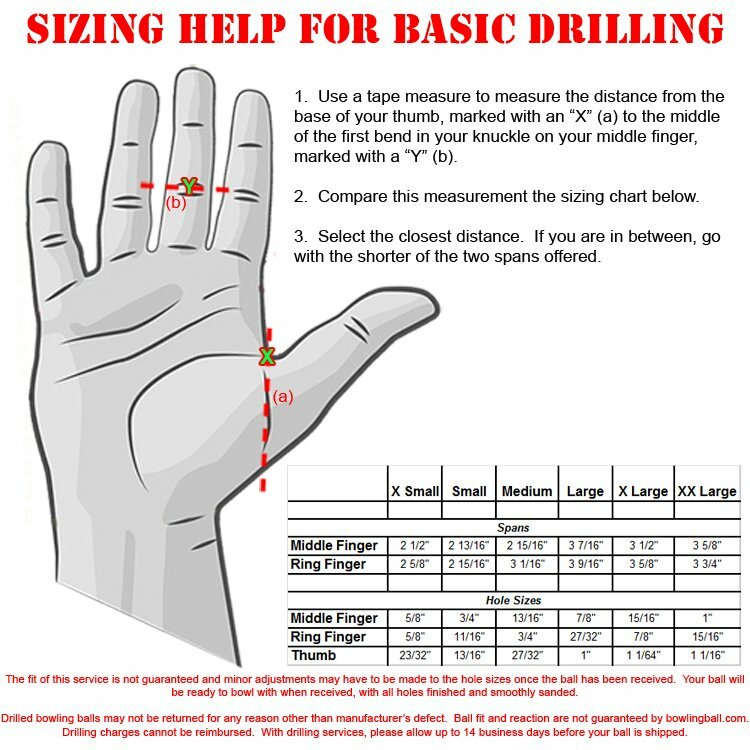 Below is an image and size chart of the right handed (Reverse Ring/Middle for left handers) measurements used to drill your bowling ball. They are given for informational purposes only and are not guaranteed.